Arrow during its inaugural flight on Sunday morning. Arrow, the newest aircraft created by the Make to Innovate Program, Cardinal Flight, had it’s inaugural flight on Sunday morning in an airfield in Newton, IA. Arrow is a 18 ft. wingspan electric powered sailplane designed to incorporate solar panels. The aircraft was designed and manufactured entirely by students of Cardinal Flight. 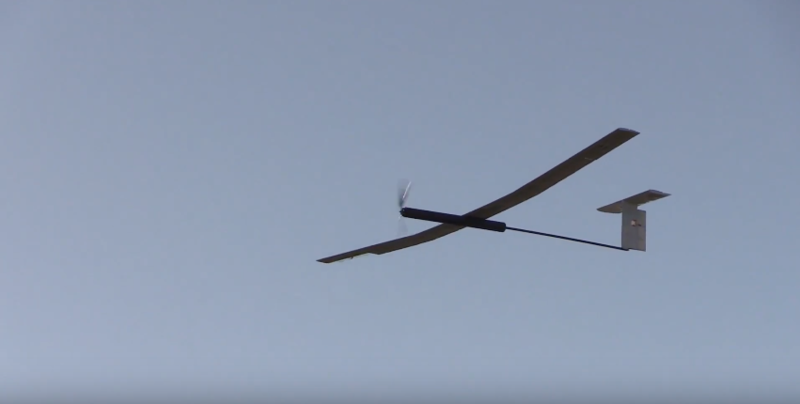 With Arrow, Cardinal Flight’s goal is to create a solar assisted aircraft from traditional hobby grade and off-the-shelf component in hopes of impacting the future of small Un-manned Aerial Vehicles (sUAV).